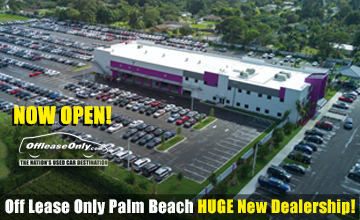 Off Lease Only Orlando opens for business to crowds. 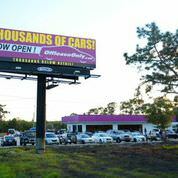 ORLANDO – Off Lease Only Orlando opened on November 15th to crowds of car shoppers eager to take advantage of the great deals and amazing prices of used cars for sale. News of the company’s customer-focused reputation was out: the huge new car dealership at 7948 Narcoosee Road was packed all weekend long. 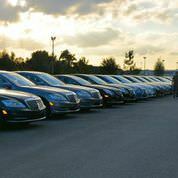 Sales associates sold a stunning 45 cars on Saturday, and 34 more on Sunday. The gigantic car lot was crawling with customers who walked the lot checking out rows and rows of like-new cars, all priced thousands below retail. 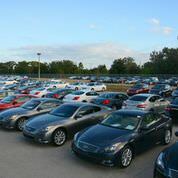 Hundreds of like-new vehicles fill the lot at Off Lease Only Orlando. Mark and Eileen Fischer’s family-owned used car business is growing up. Fast. Car shoppers were introduced to the Off Lease Only free barbecue and dined on freshly-grilled hamburgers and hotdogs while they searched for the car of their dreams. It’s all part of the Fischers’ plan to make used car shopping a pleasant and stress-free experience. The Fischers had predicted the Orlando store would become their company’s flagship because of its central location and large footprint. 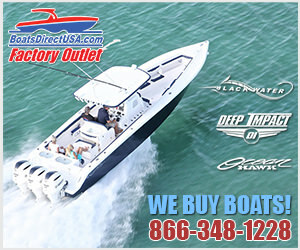 Plus, Off Lease Only already enjoyed a loyal Central Florida clientele that traveled hours to Palm Beach and Miami to take advantage of Off Lease Only’s fantastic prices and low-mileage inventory. 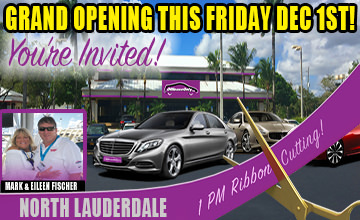 With the drive eliminated, the Fischers predicted that even more Central Floridians would discover Off Lease Only and become loyal customers. 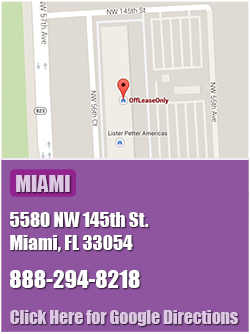 Car lot at Off Lease Only Orlando. They also expect out-of-state business to skyrocket because of the proximity to Orlando International Airport and the Disney and Universal Studio attractions. 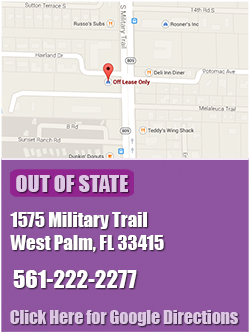 Out-of-town car buyers who fly into Orlando to pick up their vehicles can easily enjoy mini-vacations. 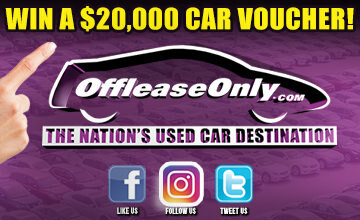 With the addition of Off Lease Only Orlando, used car shoppers now have 3,000+ like-new cars to choose from in four locations: Orlando, Palm Beach, Lake Worth and Miami. 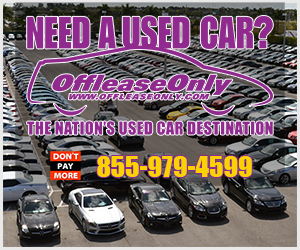 Off Lease Only’s entire inventory is available online, with photos, detailed descriptions and complimentary Carfax reports for every make and model.